Learn how to use an oblique holder, nibs and ink in this introduction to modern calligraphy workshop! 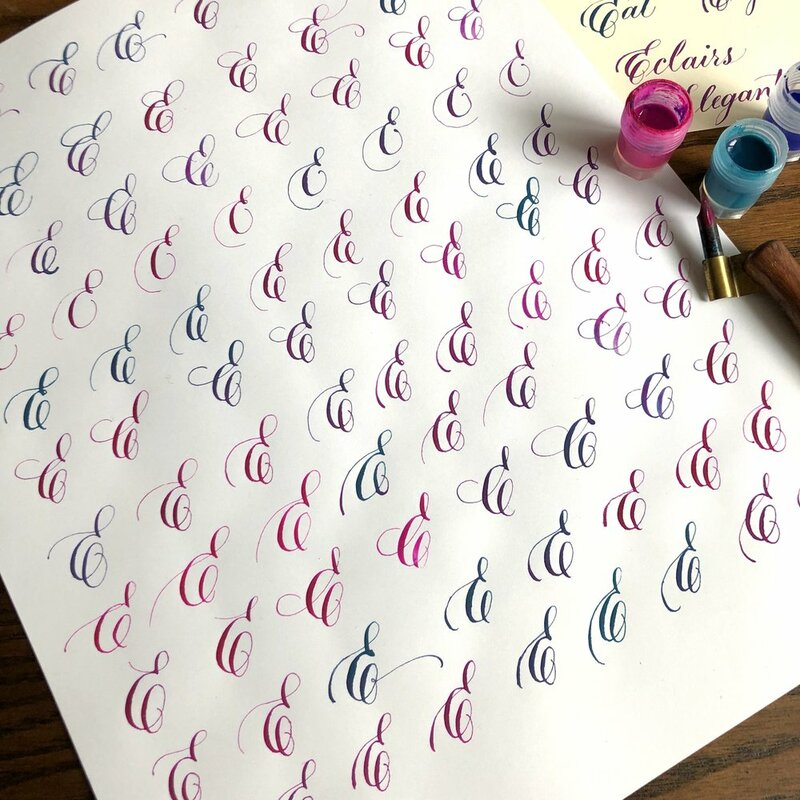 We will break down the steps to writing a beautiful modern Copperplate script and you will leave with the skills to continue your pointed pen practice at home. the ability to write out holiday cards, gift tags, envelopes and much more! Good handwriting is not essential to be a good calligrapher! If you've ever been curious about the art of calligraphy but too intimidated to learn on your own, this will be a relaxing, friendly and fun workshop. Once you learn the basics, you will discover how gliding ink across your paper can be a very soothing, creative and meditative practice. And, not to mention, you will knock the socks off of your friends and family when you create elegant holiday cards, gift tags and envelopes for them! Brandy is a Santa Cruz/Bay Area calligrapher and the owner of Wild Quill Calligraphy. After spending many years in the digital design world and dabbling in numerous art fields, she discovered her niche in pointed pen calligraphy, and hasn't put the pen and ink down since. She is passionate about calligraphy and loves creating elegant, one-of-a kind scrapbook worthy wedding and event stationary and signage keepsakes. When she is not doing calligraphy you can find her gardening, drinking coffee with her husband and spoiling their dog in the middle of the majestic Santa Cruz redwoods.